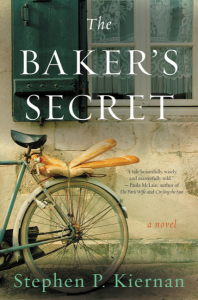 THE BAKER’S SECRET takes us to a small village in Normandy during WWII. We follow Emma, her family, and the village as they live under the restraints of German occupation. The village citizens work together to stay alive and to help each other. Emma is a very strong female character that you can't help but sympathize with and fall in love with. She is someone you would love to have had in your village during WWII. Emma's strength and subtle resistance to the Germans was amazing. Emma knew how to be subversive and still stay alive. Emma's role in helping to save the residents of her town was to follow the Kommandant's order to bake bread for him and his men every day. Emma had a secret about baking this bread. 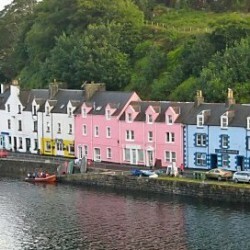 She would sneak in two extra loaves to share with the townspeople by stretching the number of required loaves by two. THE BAKER'S SECRET shows the unity the Europeans had to have in order to survive. The characters were authentic, and you will become immersed in their lives and suffer with them as well as silently cheer with them when the courage they share turns in to a triumph. I thoroughly enjoyed THE BAKER'S SECRET. The writing is marvelous and detailed. The book is one you won't want to put down. If you read only one book this year, make it THE BAKER'S SECRET.